Let's end the fear of fat once and for all. Your body needs fat to function properly—to absorb vitamins, have energy, protect your organs, keep your hormones in check, and keep you satiated. It's true, however, that not all fats are created equal. Saturated and trans fats (found in meat, dairy, and many processed foods) raise your bad (LDL) cholesterol. 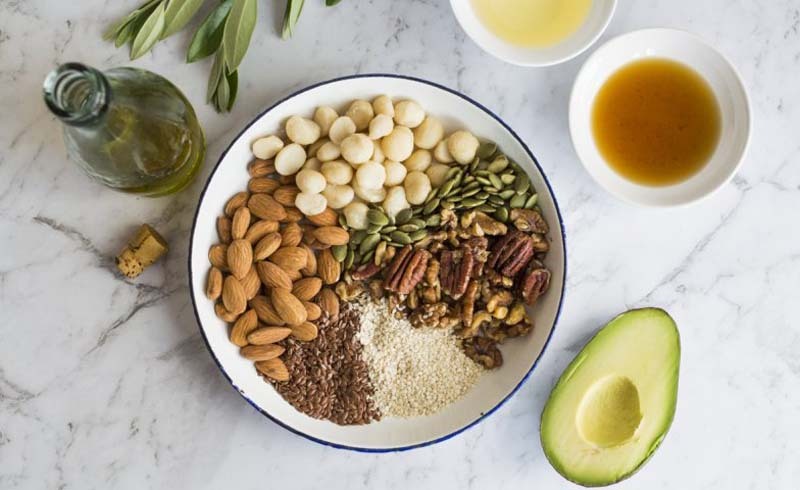 Monounsaturated and polyunsaturated fats, on the other hand, help lower bad cholesterol, lower blood pressure, improve insulin sensitivity, and protect your heart. 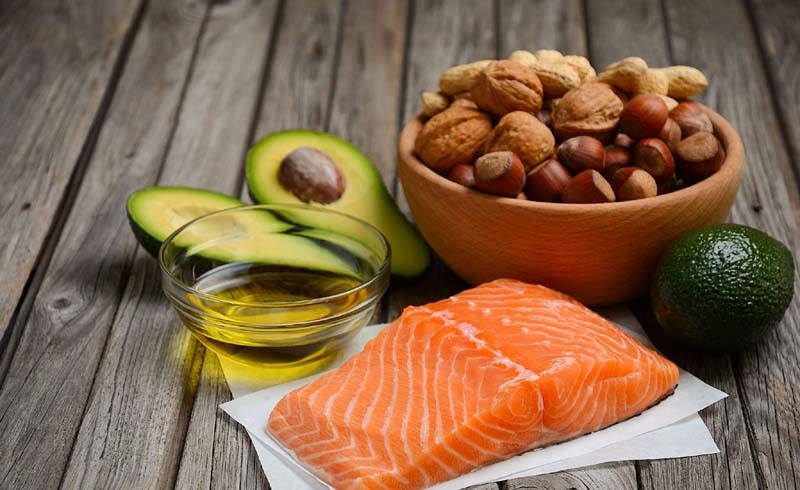 Specifically, omega-3 fatty acids, a type of polyunsaturated fat, can help improve good (HDL) cholesterol and triglycerides. In fact, a study published just last week showed that middle-aged and older adults with type 2 diabetes who consumed 500mg of omega-3s per day (equivalent to two servings of fatty fish per week) had a 48 percent reduced risk of vision loss associated with diabetes. 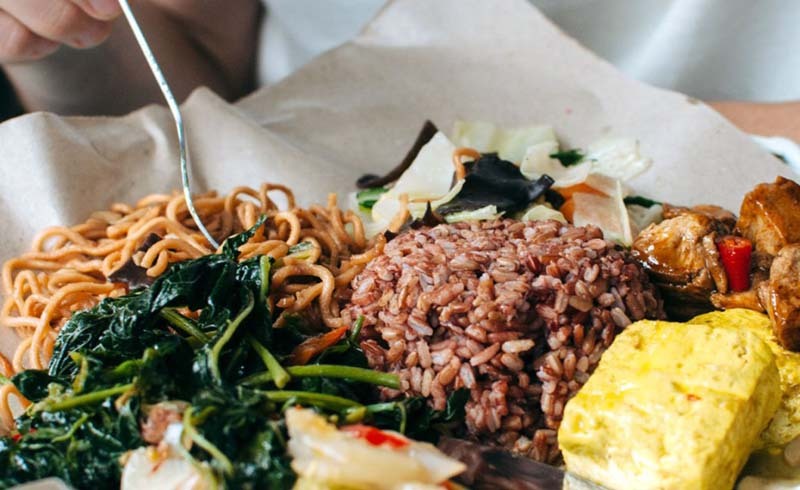 Want to reap all the benefits of healthy fats? Ditch the fear of fat and add these six foods to your diet. With one tablespoon of olive oil boasting 10 grams of healthy monounsaturated fat, it may be time to make this your go-to salad dressing. 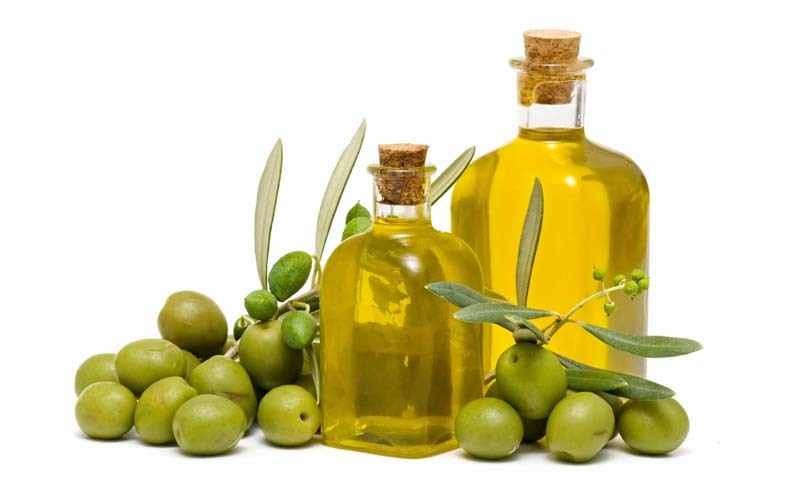 To lower saturated fat intake, use olive oil in place of butter for bread and pasta or to sauté vegetables and proteins. Ditch the store-bought salad dressings and try making your own simple vinaigrette using olive oil, balsamic vinegar, and Dijon mustard. Or use olive oil in baked goods like this Lemon Olive Oil Cake or Whole-Grain Grapefruit Olive Oil Cake. Few things in life are more satisfying than noshing on crunchy foods. 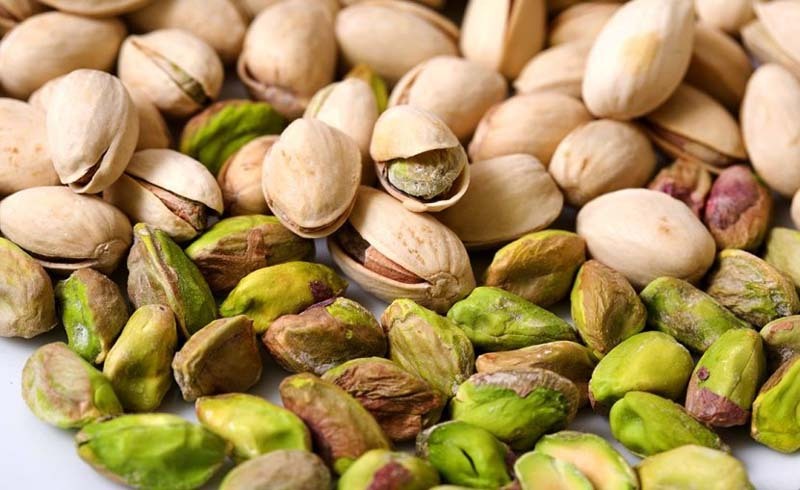 Pistachios are a great pick, as 90 percent of the fats in these nuts are the healthy monounsaturated and polyunsatured ones. Pistachios deliver the total nutrition package, too, as a good source of fiber and protein, helping you squash hunger and feel fuller longer. Use them as a coating for seafood, sprinkle them over yogurt in this Pumpkin Pistachio Parfait, or scatter some on top of this Breakfast Risotto. Pumpkin seeds are no longer just for Halloween. 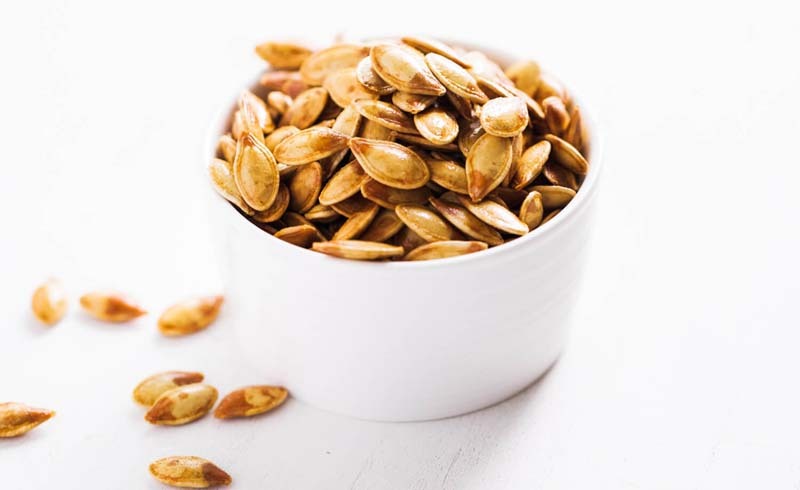 Eat these babies year-round for a dose of healthy fats—75 percent of the fat in pumpkin seeds is monounsaturated or polyunsaturated. They also deliver a nutrient-packed crunch, providing fiber, protein, omega-6 fatty acids, magnesium, and other vitamins and minerals. Add pumpkin seeds to homemade granola like this Pumpkin Seed Chia Granola or sprinkle in salads like this Brussels Sprouts Salad. 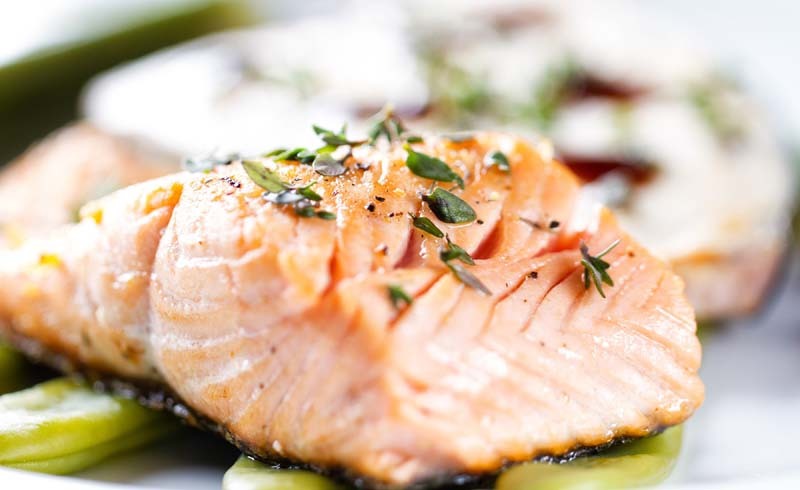 The American Heart Association recommends eating fatty fish like salmon at least twice a week, and for good reason: Salmon is packed with omega-3 fatty acids—these are essential fatty acids that the body can't produce on its own and must be obtained from your diet. Omega-3s have been extensively studied for their role in heart health and have been proven to help protect against heart disease, lower triglycerides, decrease risk of arrythmias, and lower blood pressure. For restaurant-grade salmon, try this Slow-Cooked Salmon, or get creative and try Blackened Salmon Tacos. Not a fan of salmon? Try other fatty fish like tuna, trout, herring, mackerel, or sardines. Don't be fooled by this seed's tiny size—it packs a powerful punch. 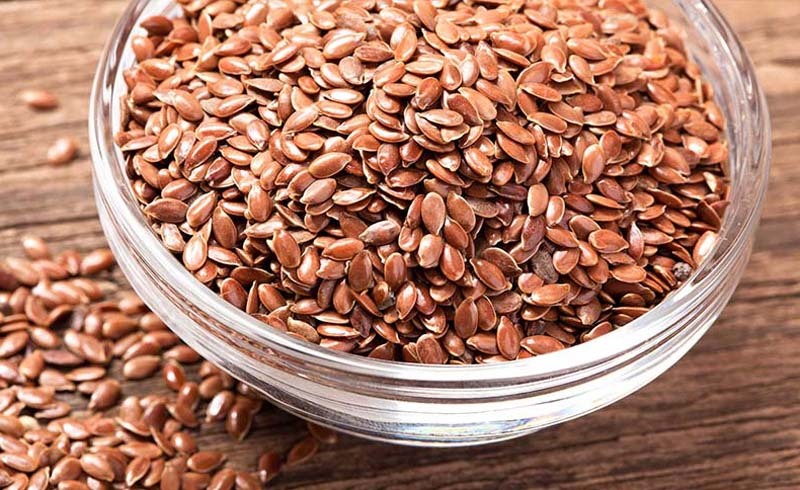 Flaxseed is loaded with alpha-linolenic acid (ALA), a type of omega-3 that's found in plant-based foods and that has been shown to help lower LDL cholesterol. Just two tablespoons of flaxseed will provide more ALA than the daily recommended amount, but be sure to opt for ground flaxseed for optimal nutrient absorption. Sprinkle ground flaxseed over salads, toast, oatmeal, and smoothies, or use it as an egg replacement in baked goods. Flax is also the perfect nutrient boost for these Peanut Butter and Flax Energy Bites or Banana Flax Muffin in a Mug. Did you know that avocados are the only fruit with healthy fats? 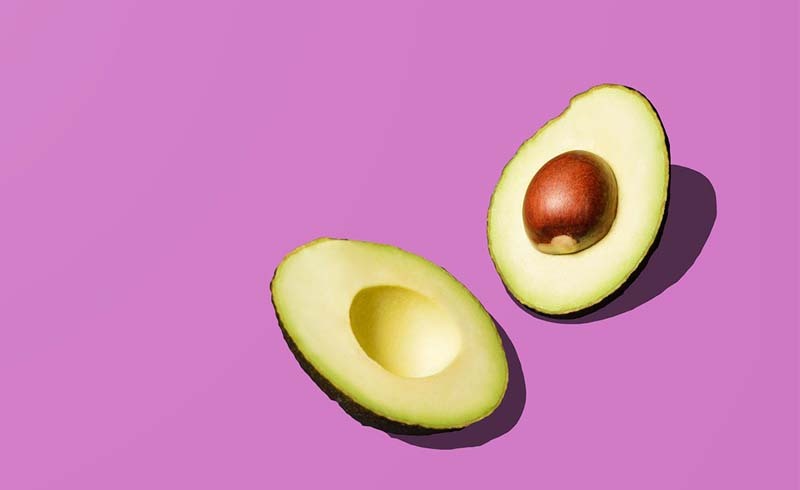 That's right, your favorite guac ingredient boasts 3 grams of monounsaturated fat and 0.5 polyunsaturated grams fat per 1-ounce serving (or 1/5 of a medium avocado). That's not the only reason to smash this food on your toast—avocados contribute fiber, antioxidants, and nearly 20 different vitamins and minerals. If you've had enough of avocado toast, first try these 30 ideas, or consider this Avocado Coffee Sherbet and this Green Goddess Dressing.